This Label was picked up recently by Lionel Frumkin on e-Bay. 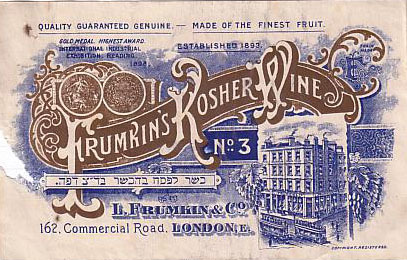 We always thought that the FrumkinWine Shop was established in 1894, and on this label it says 1893. If anyone has any more information please write to us.